Toyota Corolla is one of the best selling models in its segment and the company is now offering discounts on the sedan to increase sales during the festival season. 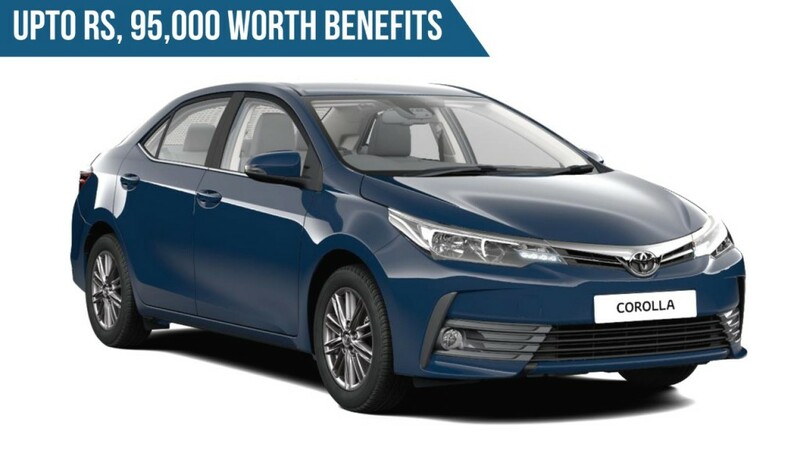 The total benefit on Corolla Altis is Rs. 95,000, which includes Rs. 35,000 as a cash discount, Rs. 20,000 as exchange and Rs. 40,000 as a corporate discount, this offer is available only for October. The Corolla facelift model was launched in 2017 and the D-segment is experiencing downward growth as people prefer compact SUV models instead of the sedan. 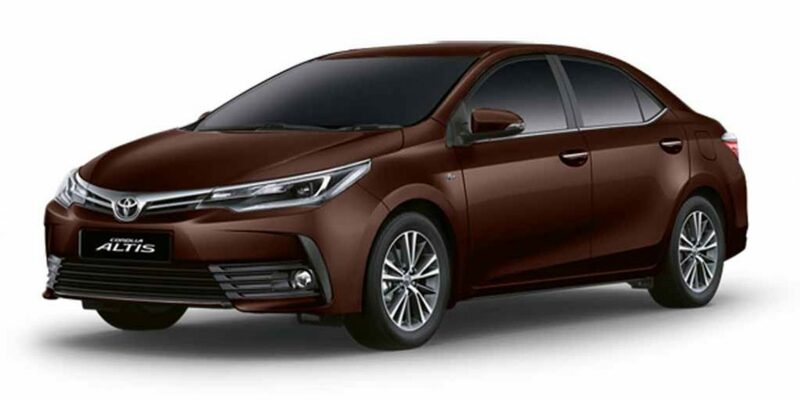 The exterior changes on Corolla facelift start with revised bumper and grille along with new bi-beam LED headlamps with redesigned fog lamp housing. Toyota has also made some minor changes for the air-dam and the 16-inch alloy wheels get a new design. The rear also gets substantial changes like new bumper and bigger LED tail lamps, which looks similar to the Camry lights. The company has also given a chrome strip between tail lamps and it gives a sense of a big car feel for Corolla Altis. The interior gets soft-touch materials and the quality of materials have gone up compared to the previous model. The Corolla Altis comes with dual tone black and beige colour combination for a premium look with new multi-function steering wheel. The Optitron instrument cluster also gets an update and the company has given a new 4.2-inch MID in the middle. One of the USPs of Corolla is its space as the sedan offers good legroom, knee room and shoulder room for rear passengers. The Corolla also comes with segment first reclining seats to further improve comfort and the improved insulation helps the sedan to reduce cabin noise. The suspension has been tuned for comfort. The Corolla Altis comes with lots of features like a 7-inch touchscreen infotainment system, climate control, cruise control, 7 airbags, Vehicle Stability Control, Hill Assist and more. The 1.8 L petrol engine puts out 140 PS and 173 Nm, the 1.4 L diesel engine produces 88 PS and 205 Nm. Both these engines get 6-speed manual gearbox as standard and 7 speed CVT is available only with the petrol model.